Are you kidding? Democrats are thrilled by and large. He will help the whole ticket and money will not be a problem. Great article as always! 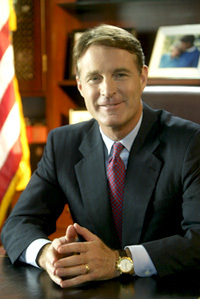 Let's just do what we can to keep Bayh the Hell out of office! Politically this is Bayh pass surgery. Unfortunately, like most in what's supposed to be leadership, the Governor has no track record of reducing the size of government or taxes, in real NET TERMS; familiar to citizens.